Why is Everyone Moving to Manchester? The population of Manchester has seen a massive increase in the past couple of years. From international students to London media executives to optimistic graduates, it seems like everyone is moving to Manchester. From 2002-2015, Manchester was the fastest growing city centre in the UK. With population growth of 149% and city centre job growth of 84%, Manchester is showing impressive advances. Though rental rates are on the rise in Manchester, they are nothing compared to the steep prices dominant in London and the south west. The cost of living is also more manageable in the north of England. In 2016 it was reported that compared to London, rent in Manchester was 50% cheaper than London and the cost of living was a further 30% cheaper. The same report looked at other comparisons between Manchester and London, finding that a monthly travel pass was 40% cheaper, gym membership was 57% less and tube of toothpaste was 42% cheaper. Though wages aren’t as high in the capital, residents can get far more for their money, making it a tempting location for people fed up of sky high prices. A huge scheme of investment has seen Manchester transformed in recent decades. Once derelict warehouses now host luxurious loft style apartments. Disused industrial land is being turned into prestigious arts venues. The once avoidable Salford Quays has had an impressive makeover, both physically and its reputation. The £1 billion St John’s development will also have a massive impact, providing new homes, jobs and opportunities for potential residents. The UK’s Northern Powerhouse strategy has seen an impressive volume of investment poured into Manchester and other northern cities, helping to address the historic north south divide in England. As mentioned before, the city centre job growth in Manchester is one of the main factors in it’s increasing attractiveness to potential residents. With a job market that’s grown 84% in a just over a decade, opportunities are available that were unimaginable in the old ‘grim up north’ days of Manchester’s past. From marketing, to digital services to television production, new sectors have been booming in Manchester, offering great quality jobs to residents. 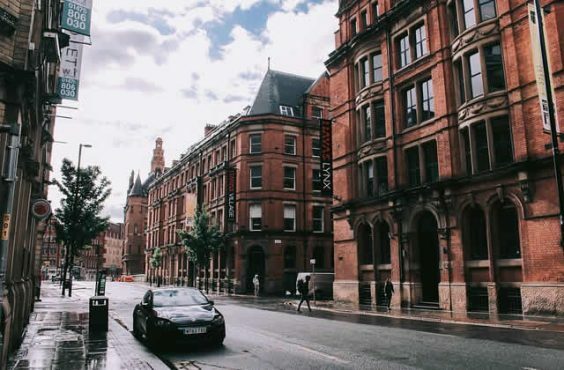 From niche record stores to gourmet burgers, from walking through the historical waterways to shopping in high-end designer stores, Manchester has it all. This eclectic city culture has been a huge draw to students, who have come to study along with over 85,000 fellow scholars every year. Manchester has an impressive collection of universities, colleges and other specialised higher education institutions, from the historic to the ultra-modern. With world class research, links to the cities thriving industries and a student retention rate of over 50%, students are moving to Manchester to study and stay. These new residents, who are moving to Manchester in their droves, will of course need somewhere to live. The majority of these seem to be looking for rental accommodation. Due to the job quality available in Manchester, many of these people will be looking for a high standard of accommodation too. Luxury apartments like those at Hollywood and West Point by RW Invest are perfect for this. Demand for rental property in Manchester is at an all-time high, providing buy to let investors with unique opportunities for return on investment.